I watched weather radar for several hours yesterday as a line of storms approached our area; it looked interesting. The line had a strong arc to it offering the possibility of photogenic afternoon storm clouds. So I headed to the Lake Erie shoreline and a view off Bay Village, Ohio. The drive was an adventure in itself as I encountered strong winds and heavy rains. I worried the cold front had arrived early and I might be out of luck but, I remembered, there was an intense, crescent-shaped storm out ahead of the line — driving through I should encounter dryer weather and a shot at the “real deal.” And so it was! As I approached the lake, I saw curved lines in the clouds overhead … lines that corresponded to shapes I could see on weather radar. I couldn’t stop to photograph those and so continued to my observation post. 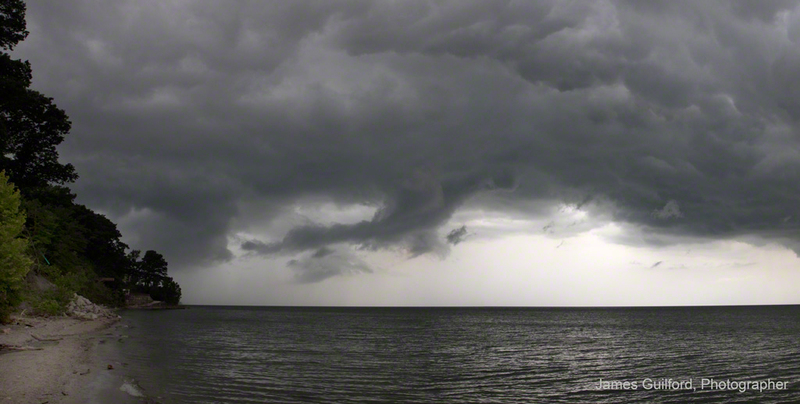 Hurrying down to waters’ edge, I saw an expansive arc of clouds stretching from the southwest to the northeast and out over the lake. Not a sharply-defined line as I might have hoped for but dramatic, nonetheless. 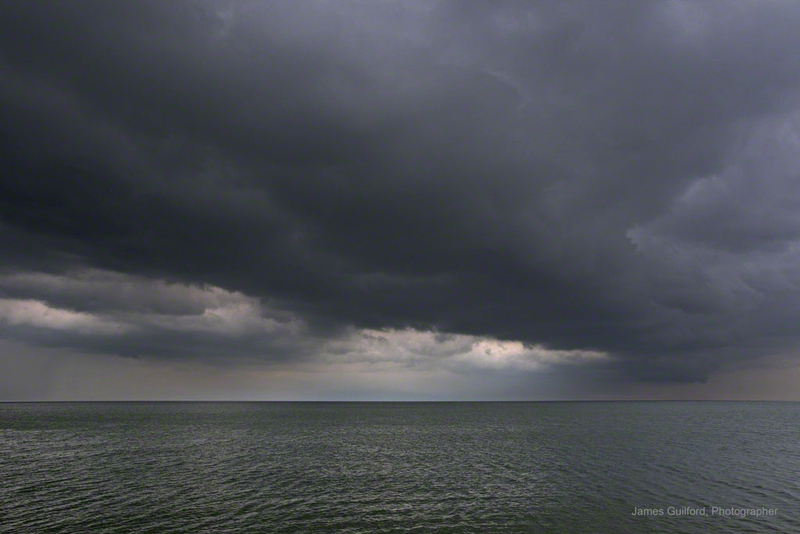 I had time for a few single shots and a couple of groupings to be assembled into a panorama and had to run again … I could see a curtain of rain moving in! As I drove home through sheets of rain I smiled; timing and luck were with me today and I had my trophy shot of the day! P.S. – That’s not a tornado!